Hello, my name is Alyssa, and I am a disease. Missing more school today because I am sick yet again, the worst. My immune system is apparently non-existent in Spain, and I’m so tired of it. Not really sure how to fix it, I had a big plan to eat a lot of fruits and vegetables to give it a boost, but my amazing Auntie sent me a box of Christmas goodies all the way from Chico, CA, so I keep eating those instead, oops. Hopefully this will be my last cold for the rest of my time here…? Crossing my fingers. Again, luckily I still made it to Italy for the week, illness free. Getting to Rome, however, was quite the process. I woke up at 3:30am and headed to the airport to catch a 6:30am flight to Santander. I’ve never seen an airport so crowded, people were getting craaazy and if I hadn’t cut in front of the security line (sometimes you have to play the dumb American) I definitely would have missed my plane. 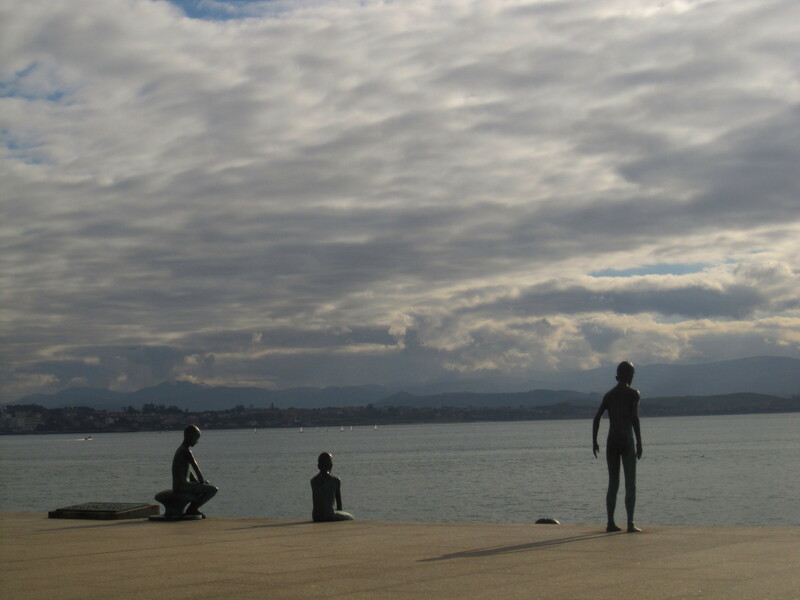 I arrived in Santander at 7:40, not at all happy to be there. It was still dark, raining, cold, and I was only half human. I slept for three hours in the world’s most unforgiving chairs, and after a leisurely coffee and bacon sandwich I still had 5 hours until my flight to Rome so I decided to venture into the city. Turns out Santander is adorable, it completely charmed me and now my new life plan involves retiring there, where I’ll pass my days riding my beach cruiser and reading the paper at little outdoor cafes. I also had no idea how much I had been missing the ocean until I finally saw it again. I spent a few happy hours looking at the sculptures along the seafront, browsing the holiday market, watching kids fall in the ice skating rink in front of City Hall, and admiring the old buildings before heading back to the airport and finally onward to Rome.